The GAA is now operating in an environment where 71% of the population of Ireland is resident in two provinces – Leinster 39% and Ulster 32%. In fact the imbalance in population is even greater as Dublin’s population is over 50% the Leinster total and is greater than the population of either of the other two provinces – Munster or Connacht. 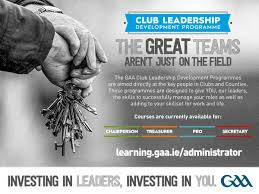 This on-going demographic change is having a direct impact on GAA operations at every level. Cognisant of significant demographic changes on the island of Ireland, The National Committee on Community Development, Urban & Rural aims to deliver on the objectives of the GAA’s Strategic Plan 2018-2021, in relation to protecting and growing the Association, by undertaking a Pilot Study in four selected Counties. In order to interconnect a wide range of issues, a county from each province has been selected, notably; Kerry, Roscommon, Tyrone & Westmeath. The Pilot Study will examine how the Association can best measure the impact of demographic change. Over the next couple of weeks, representatives from the county working group will be in contact with your club to gather the necessary data. Engagement and support from the clubs will be critical to the success of the pilot and the committee will require your valued inputs in order to successfully complete the Pilot. A range of data inputs will be required from each club, including; Number of teams (incl. family of games, ladies, camogie etc.) Participation – number of players at each age group, Quantify school links and Facilities Assessment. The initial pilot projects will seek to increase the awareness amongst all Clubs of the demographic challenges within their catchment areas and to encourage all Clubs in the catchment area, working with the County Board, to collaborate and cooperate in an integrated manner to take ownership for tackling the specific problems within their area.